Pavel Zoubok Gallery is pleased to present Play Land, an exhibition of new works by Jane Benson that explore contemporary geo-cultural disruptions through division and rupture. The exhibition centers on Finding Baghdad (Part A), a dual-channel video installation broadcasting an intimate, virtual duet between two Iraqi brothers who fled Baghdad in the early 2000s. Benson premiered The Splits at The Abrons Arts Center in 2011 with a performance of chamber music scored in collaboration with New York composer Matt Schickele. Subsequent iterations of this project took place at The Aldrich Museum, Ridgefield, CT in 2012 and at the Queens Museum, Queens, NY in 2013. Trained at the Edinburgh College of Art and the School of the Art Institute of Chicago, Benson has exhibited nationally and internationally, including solo exhibitions at Thierry Goldberg Gallery, New York, NY; Black and White Gallery, New York, NY; Helen Pitt Gallery, Vancouver; Roebling Hall, New York, NY; the Chicago Project Room, Chicago, IL and the Scottish National Museum of Modern Art, Edinburgh. 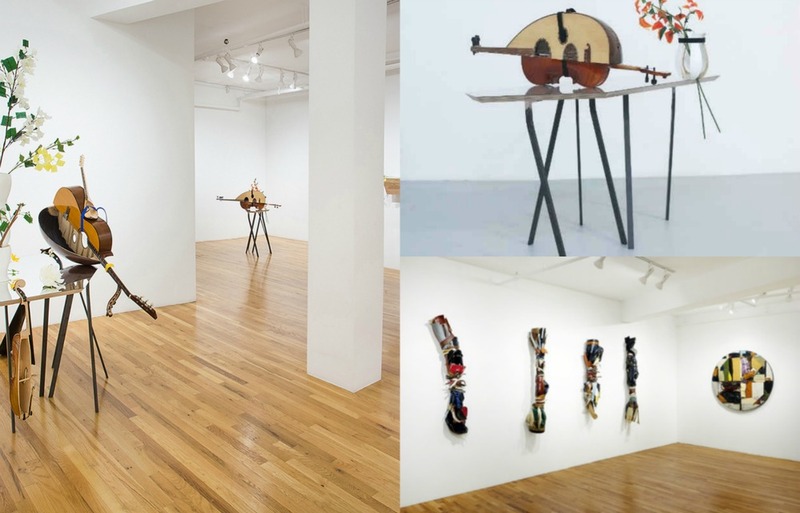 Her work has been included in group exhibitions at MoMA P.S.1, Long Island City, NY; Sculpture Center, Long Island City, NY; the San Jose Museum of Art, San Jose, TX; The North Carolina Museum of Art, Raleigh, NC and the Bury Museum, England. This is her first solo exhibition at Pavel Zoubok Gallery.